Spoiler Alert: This review doesn't pull any punches in regards to the plot of this show. Consider yourself warned. Tasogare Otome x Amnesia (Dusk Maiden of Amnesia) starts off as a playful story centered around Kanoe Yuuko, a spirit who’s lost all memories of who she was in life and instead just enjoys living in “the here and now” amid the labyrinth formed by the layers of construction and abandonment that are Seikyoy Private Acadamy. 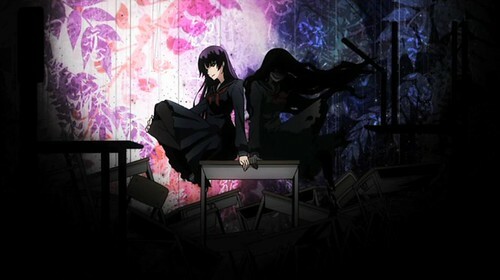 Yuuko’s existence, at least in the first few episodes, consists of relentlessly flirting with the only boy at school who can see her (Niiya Teiichi) and trying — often in vain — to creep out the one person (Okonogi Momoe) in the school’s paranormal investigations club whose obsession with the paranormal and Teiichi leaves her completely oblivious to the poltergeist literally right in front of her face. As more episodes pass, each paranormal report grows a smidgeon darker than the last. 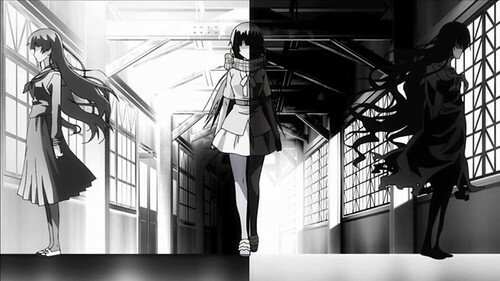 The first few episodes pass largely according to formula: a ghost story popular among the student populace prompts an investigation, and the paranormal investigations club discovers that the cause of said mystery is either Yuuko’s afterschool activities or hysteria spawned from rumors about Yuuko passed down from previous graduating classes. Either outcome leads to a good-hearted laugh, while somewhere in the background, overshadowed by playful humor and the bawdy spirit of the story, a subtle, unnamed uneasiness lurks. As more episodes pass, each paranormal report that comes under investigation grows a smidgeon darker than the last. Add to this progression the stumbling upon of Yuuko’s remains, Teiichi’s adopted drive to discover Yuuko’s past, and the constant exploration of the academy’s forgotten corners, and the series enters into its second phase. Yuuko’s desperation, her clinginess, is almost too perfect. It is at once an otaku’s dream (hot girl only he can touch) that convinces viewers this is just another formulaic romantic comedy; a device used to show how lonely Yuuko has become after having spent ~60 years without interactive company; and a hint that Yuuko making Teiichi her happiness, pouring all her attention into him, is more a form of running from something – even if it’s something she herself does not know or refuses to acknowledge – than it is love at first sight. Ignorance is most certainly bliss; fellow paranormal investigations club member Konoe Kirie consistently refers to Yuuko, out of 1% jealousy and 99% truth, as an airhead and naïve. But what if that ignorance was actually displaced cognizance? In the latter half of the series (episode 12 does not exist! 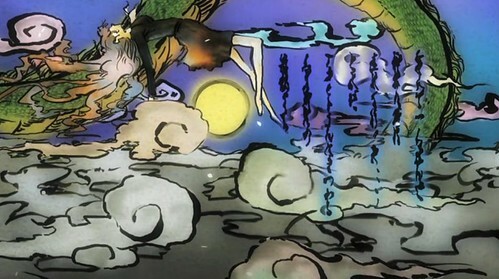 ), a theory is posed, and later proven, that Yuuko has been channeling anything negative – memories of her death, years of loneliness and rage, petty jealousies – into another self: compartmentalizing, and a warped vessel has been given form as a result. 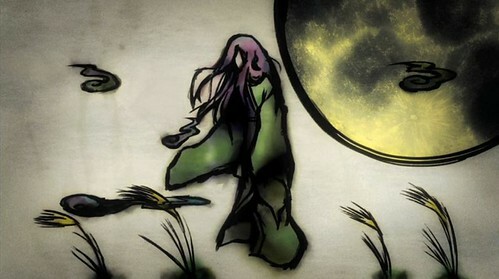 In episode 7, Kirie dubs this vessel "Yuuko’s shadow" (a.k.a. Shadow Yuuko) and for good reason. If, reader, you think me off in bringing Western psychology into the interpretation of an anime series, I strongly suggest you take note of the direct mention of autosuggestion in episode 2, projection in episode 4, and multiple personality (dissociative identity) disorder in episode 7. This anime knows it’s in your head and is not gonna let its bony fingers out. From here on in, however, the episodes are all about defining Shadow Yuuko, finding out exactly what portions of Yuuko the shadow is comprised of, and attempting to protect her from that alienated portion of herself. 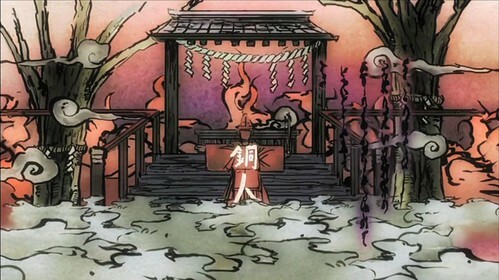 While the first objective is inadvertently tackled by Teiichi, the second proves to be a lost cause. Teiichi ends up interacting with Yuuko’s emo depot and witnesses Yuuko’s final hours through her own eyes via a theater-like room, complete with Feel-Around, in her own head. Because Teiichi has taken Yuuko’s darkness into his own consciousness, he then transforms, in Yuuko’s perception, into what she fears most: herself. All that’s left is the love story that’s framed this haunting tale from the very beginning, but with roles reversed. Teiichi must make Yuuko acknowledge and accept his presence, which is representative of Shadow Yuuko’s presence, which is Yuuko’s long estranged self, a task rendered nigh impossible when considering Yuuko’s most effective talent for preserving her sanity: selective amnesia. Dusk Maiden of Amnesia is absolutely disarming, which is the key to any good scare. The composition of this series, much like the composition of the entity known as Kanoe Yuuko, is layered with dead ends both pronounced and subtle due to constant reapplications of said amnesia. A parallel for Kanoe Yuuko’s mental state can be drawn with Seikyoy Private Acadamy, within which she is confined, and its “countless extensions...and modifications” which have reaped “classrooms that have become storage rooms. Stairs that no one ever climbs. Hallways that simply end abruptly. Buildings as complicated as mazes.” Dusk Maiden of Amnesia is absolutely disarming, which is the key to any good scare. But this is no mere boo in the dark, it’s a reflection in a mirror of a forgotten self, the flood of former associations therewith associated, the terror of living with yourself, and the horror of allowing others to live with all of who you are.